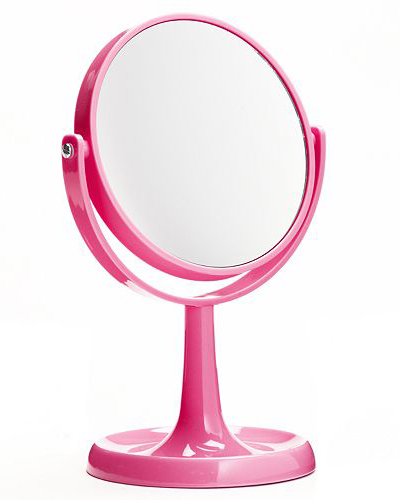 Applying cosmetics is a cinch with the help of this Simple by Design Pink 5x Vanity Mirror. Features 1X and 5X magnification. $14.99 Sale $6. Buy here.